The Jefferson Parish Early Childhood Collaborative is excited to offer an intensive 3-month CDA/Ancillary Certificate course. This will be the same course we offer during the year, with the same amount of work, in a shorter period of time. This course is recommended for highly motivated lead teachers who are in need of their Early Childhood Ancillary Certificate. 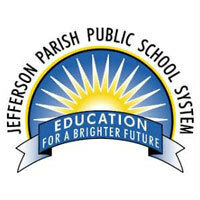 Classes will be held at the Jefferson Parish School Board on Tuesdays, from 4pm - 7pm, weekly, as well as 4/5 Saturday meetings from 9:00 - 2:30. See below for tentative dates. After January 1, 2018, coursework for the Child Development Associate (CDA) certificate, technical diploma and certificate of technical studies must be earned from a Louisiana Board of Elementary and Secondary Education (BESE) approved provider in order for an individual to be eligible for the Louisiana Early Childhood Ancillary Certificate. Beginning July 2019, all lead teachers working in publicly funded early learning centers must hold, at a minimum, a Louisiana Early Childhood Ancillary Certificate. For additional information about the Early Childhood Ancillary Certificate, click here. Questions you may be asking yourself. 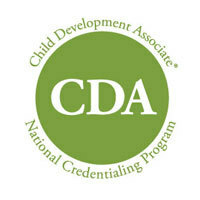 What is the CDA credential? The Child Development Associate (CDA) Credential™ is based on a core set of competency standards, which guide early care professionals as they work toward becoming qualified teachers of young children. Teachers with a CDA credential have knowledge of how to put the CDA Competency Standards into practice and understanding of why those standards help children move with success from one developmental stage to another. Put simply, teachers with a CDA know how to nurture the emotional, physical, intellectual, and social developmentof children. Candidates who have gained admission to an Early Childhood Ancillary Certificate Program, and who meet the qualifying criteria for LA Pathways Scholarships, may apply for a scholarship totaling the approved amount of scholarship tuition. Therefore, CDA candidates who receive LA Pathways scholarships attend free of charge. Classes will begin Tuesday, March 12, 2019!